Gates and Allen co-founded Microsoft in 1975, and Windows 1.0 came out in 1985. Since then, Microsoft has come out with product after product, always improving and innovating – and you can keep counting on it to keep doing so. It doesn’t matter what it’s called – we all love Windows, especially at work. After all, over 87% of corporate desktops currently run on Windows. And 450 million licenses of Windows 7 were sold since its launch in 2009, making it the fastest-growing operating system ever, and showing us that Windows is going to keep controlling the OS market share. Sure, a great operating system is one of the things Microsoft is most known for, but there are dozens of other Microsoft products and services that help businesses grow. Every second, a copy of MS Office 2010 is sold, and a large number of those go towards corporate use. 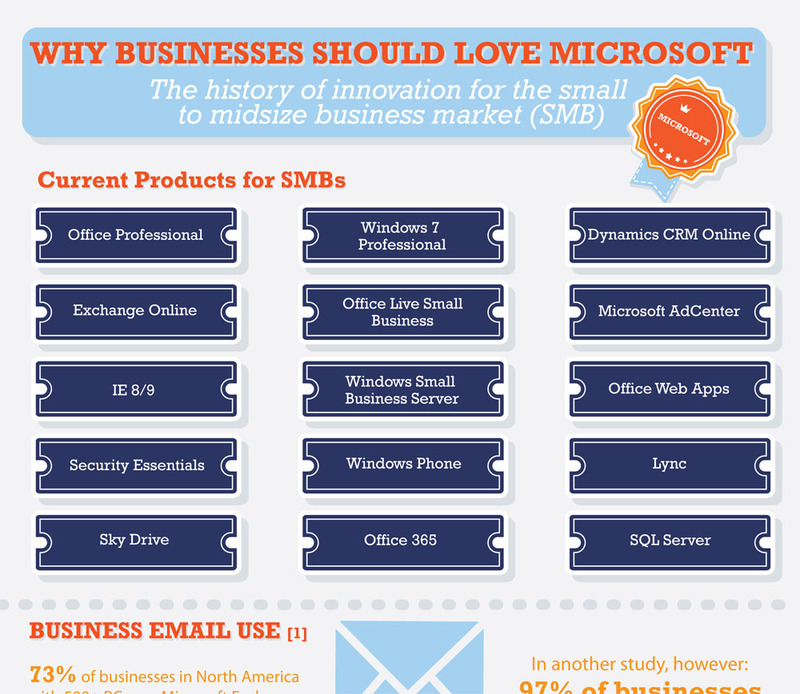 Over 73% of large businesses in North America use Microsoft Exchange Server as their primary email system. Bing Powered search now controls 30% of the search engine market share. Microsoft Dynamics CRM has over 30,000 customers and 2 million users worldwide. Cloud productivity services like Office 365 and Office Web Apps are now being used by more than 80 million people worldwide. The numbers keep going and going, because so does the number of products and services Microsoft keeps coming out with to support businesses. 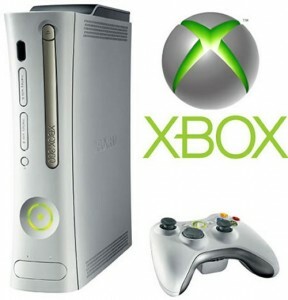 Since its launch in 2005, Microsoft’s Xbox 360 has sold 66 million copies worldwide. That makes it the first in console sales. Last year, Xbox 360 held 43% of the overall current-generation console market. Xbox LIVE has nearly 40 million members, making it the biggest social entertainment network in the living room. Kinect for Xbox 360, released in November of 2010, sold 8 million units in the first 60 days of its release. That’s 133,333 units per day. For that, the Guinness World Book of Records recognized it as the fastest-selling consumer electronics device (higher than the iPhone or iPad). It’s not just Bill Gates who gives back (the Bill & Melinda Gates Foundation is the largest transparently-operated private foundation in the world). Microsoft as a company also donates its products and services to help those less fortunate. Microsoft donated over $504 million worth of software to 43,650 organizations worldwide in 2010. It also distributed over 800,000 training and certification vouchers in the US as part of Elevate America – a program providing Americans with free technology training and certification to help them find jobs. We’ve all used Microsoft at one point or another, whether it’s when we run Windows on our laptop, write up a report in MS Words, play the last game on Kinect, or send an email to a coworker through Exchange (using Outlook). And that’s just a few of the scenarios. The numbers speak for themselves, but so do the great products and services. And that’s why businesses continue to depend on Microsoft.